Want an affordable shampoo and conditioner? 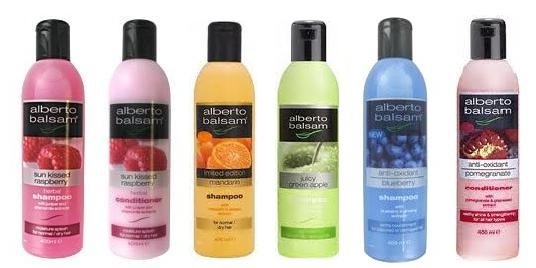 Alberto Balsam shampoo and conditioners come in a wide range of different scents, that leaves your hair smelling and feeling wonderful. These are especially good for dry hair as it strengthens and moisturises it. The shampoo lathers up really well and really gives you a clean scalp and hair. This generally lasts a few days too. This conditioner is just as good, it leaves your hair super soft and almost feeling like silk. What I like the most about these products is for the price, this feels like it really works. I have tried more expensive products that aren’t half as good as this, and have been a waste of money. Once washed I could comb through my hair without any fuss or tangles, this makes me feel like I’m not damaging my hair. At a £1 each you really cannot complain, what have you got to lose? The best thing? It’s a good product that you can afford, not one that you can only buy every now and again. What’s your favourite hate care products at the moment?